This level have normal difficulty but you need to break lot of jellies with balancing the Odus owl. 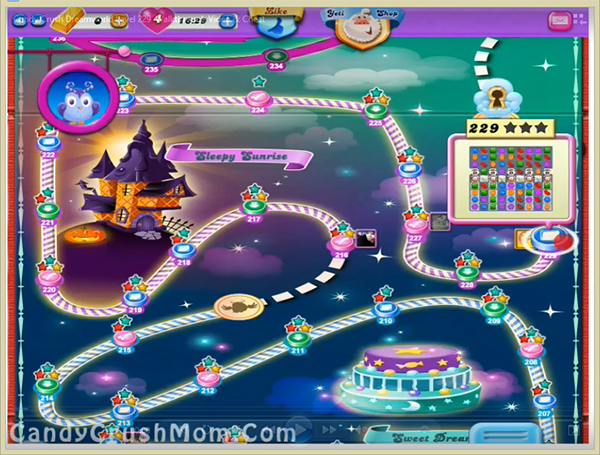 For this level you should try to play from bottom or near to jellies to break them. After as moon struck try to play with special candies to break more jellies and reach requirement as soon as possible. You should also focus on balancing the Odus owl while playing with special candies or use special combo after moon struck. We completed this level with 70660 score using same trick as written above and got few special candies that help to reach requirement with single star score.